Are you a Francophile like me? If you love all things French, but cannot get away to go to Paris, take a trip to New York City for your fix. The Big Apple is home to immigrants from all over the globe, including France. Here are seven places for Francophiles in New York City. If you’re fluent in French, then a visit to this bookstore should be on your list as it is dedicated to books from French-speaking countries. However, there are many English options for people who don’t know the language. Albertine is in the Payne Whitney mansion on 5th Ave.
For a taste of France, visit Maison Kayser for treats like mini eclairs, financiers, or croissants. The boulangerie has several locations in NYC, so if you pass one by, then you can always find another. 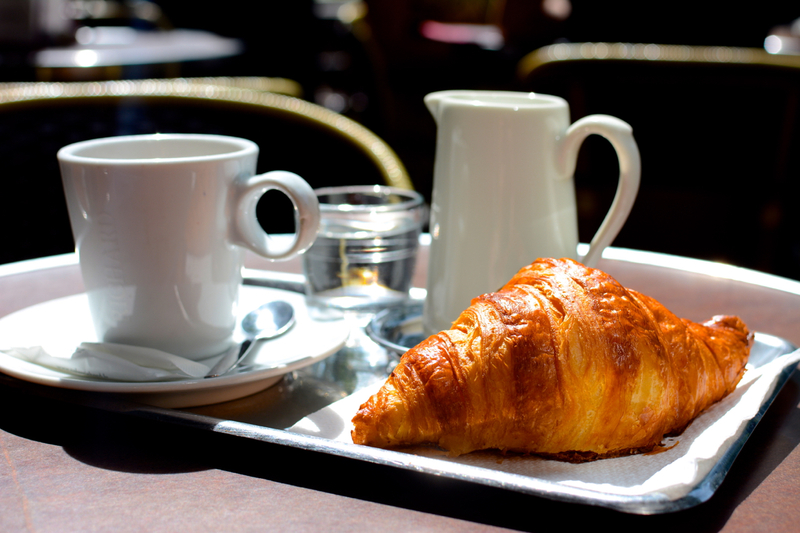 Stop at one of the popular Paris-based bakeries for a croissant while on your hop on hop off tour with Top View NYC. There’s not much more enjoyable than passing the time in a Parisian park. To take a walk in a French-like park, visit the Conservatory Garden within Central Park. There are six acres of European-style gardens, including French gardens in the north section. The iron entrance gate, the Vanderbilt Gate, has a Paris connection as it was built there before being shipped to New York City. It’s one of the most picturesque places for Francophiles in New York City. Pack a Parisian-style picnic and spend the day. Pétanque is a popular game, especially in the South of France. In New York, learn how to play a French game that is similar to Italian Bocce. Lessons are taught by La Boule New Yorkaise at Bryant Park on weekdays from 11 am to 7 pm. Then, when you visit France, you can show off your skills to the natives at Place Dauphine or L’esplanade des Invalides. The Metropolitan Museum is a fantastic place to surround yourself in French objets d’art. There are numerous exhibits featuring furniture, sculptures, and other art pieces from France. From Manet to Monet, the Met showcases the most well-known French masters. It’s European art collection is the biggest outside of Paris and fill countless rooms, just waiting for the art lover to devour. After a busy day of touring, take some time to unwind with an authentic French meal. While many fine dining restaurants in New York feature the cuisine of France, Buvette is a French Bistro with a more casual vibe and the décor of an old café. The New York location is in West Greenwich, but they have bistros in Paris and Tokyo as well. Fashion and Paris are as synonymous as fashion and New York. While shopping in Manhattan, don’t miss the opportunity to buy clothing from the French brand Sézane at their store, L’Appartement. This Paris-based store is designed like a French home, so it’s comfortable, and you can take a break for a bites to eat. As former colonists and allies of the United States during the American Revolution, France left an indelible impression on the US and the city of New York. 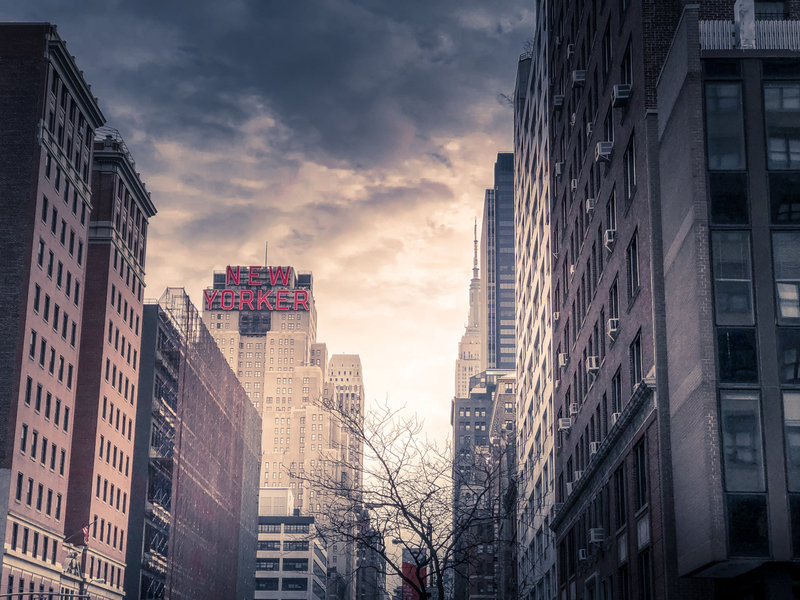 As a result, there are plenty of places for Francophiles in New York City. The entrance to Washington Square Park is an arch that was modeled after the l’arc de Triomphe in Paris. 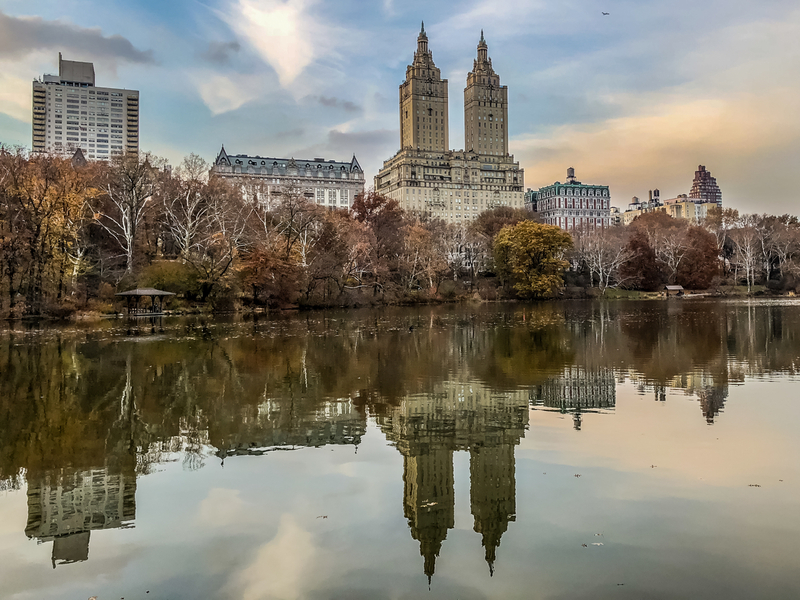 Whether you appreciate its cuisine, clothing, art, or literature, New York is a good place to experience pieces of the country while on vacation if you’re unable to take a trip to visit France. Leah's a luxury travel and food writer who has as many stories as she does shoes. She documents her experiences whether that's in the lap of luxury or riding through a swamp in an airboat. Leah freelances and has contributor/editor roles with The Daily Meal, USA Today 10 Best, Bonjour Paris, France Today, Luxe Beat Magazine, Four Seasons Magazine, Forbes Travel Guide, and is a travel and wine ambassador for Atout France USA. Leah's lived in Paris for four years, and was awarded additional time with a Passeport Talent visa renewal. Though, her talent for speaking French is abysmal. While I’m not really a Francophiles, I’d still love to pay a visit to these places when I’m in New York City. I may be flying to France this year and I just love french bread! And also, one of my most favorite travelers that I’ve met is French whom I treat as a little brother! I love the sound of Buvette, surely a good and relaxing place to dine and have some French cuisines after a long day tour! If you like French bread, you can certainly can get your fix at Maison Kayser in NYC or Paris! I can’t say I’m a Francophile, being British, but my ancestry is all from their (I’m a Bourlet) therefore it’s hard to knock the country! I’m more intrigued by New York! So I’ll have to add the Maison Kayser and the Met to my bucket list. Yes, such a love-hate (mostly hate) relationship between Great Britain and France. I love the dynamic. Anyway, go to the Met. It’s incredible. Paris is actually much closer than New York, given that I’m from Europe. 🙂 But I always enjoy that French feel in other countries. Funny enough, I felt very much at home in NYC because of all the French brands. Conversely, when I’m in the Marais, I feel like I’m in NYC. Gosh I wish I read this article before we visited NYC a few months ago! We were at the Conservatory Garden in Central Park but I had absolutely no idea that it was inspired to the European gardens, nor that there was a French section! But you’re right that it’s beautiful and it was one of the main highlights for us! Well, just more reasons to return to NYC. I never run out of reasons to want to visit that city. A bookstore for literature from French Speaking countries – that is awesome. I am sure there are many more options for French food in NY as it is with all other cuisines. Good to know about French collection of Met Museum, I always hear about the Indian Artifact collection there. I missed visiting it during my trip to NY. I highly recommend the Met. It’s one of the best museums in the world! I’m sure French speakers appreciate the bookstore. I know I am happy to have several English book stores in Paris. Reminds me of Maxim’s. As some New Yorkers may recall, their city once boasted a certified branch of the famed Maxim’s de Paris. It opened in 1985 on two floors in the Carlton House on Madison and 61st. After seven years in which it went through many changes, too bad it closed in 1992. Many famous French chef are in New-York like Eric Ripert that succeeded Gilbert le Coze a “Le Bernardin” at 155 West 51st Street in Midtown Manhattan. Daniel Boulud have a restaurant in N too. Oh, I didn’t realize that NYC had their own Maxim’s! I was driving by Maxim’s last weekend and commented that I’d like to go there. I’m not sure about the food, and surely it’s very touristy now, but the Belle Epoque interior calls to me. Anything food related will be good for us, the Boulangeries and fresh pastries are always welcome. 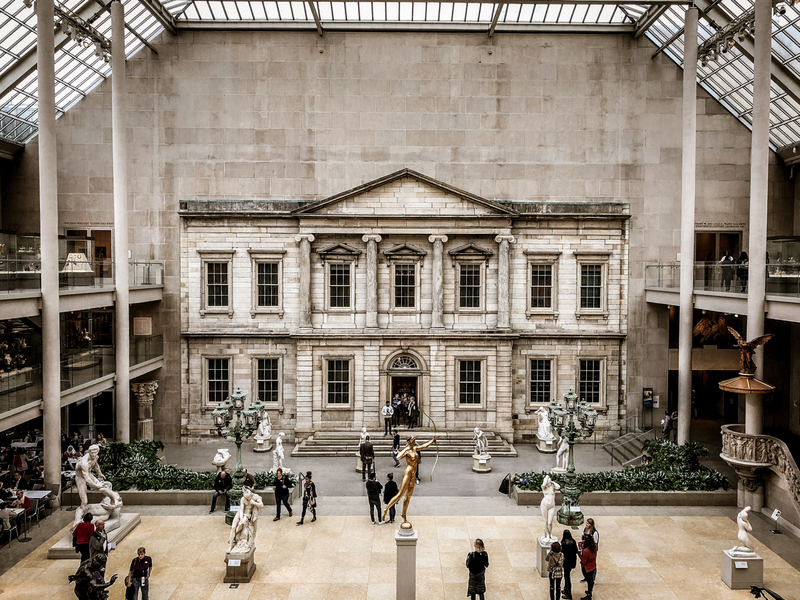 We were recently in New York and the Met is definitely worth a visit. I, too, loved the Met. I’d return in a heartbeat. RUN to the Met! It’s an amazing museum. I was there in December and was just so impressed. I wish I would have studied French! It would certainly come in handy for me today. I’m definitely a Francophile when it comes to French food. The treats at Maison Kayser look delicious. And I would love to join a game of Pétanque in Bryant Park. 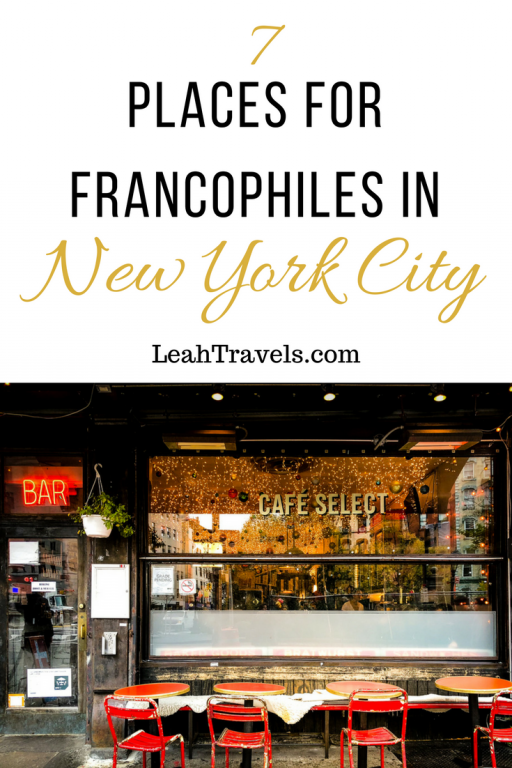 This really is a great list of places and things to do for Francophiles in NYC. I know what you mean about French food. There’s just something special about the taste and presentation. It’s a source of pride. I am interested in knowing how to play Pétanque, you said it is similar to an Italian game, so I can ask my husband to teach me, since he is Italian. Does the croissant taste like what you get in a local shop in a small french town? Pétanque is similar to bocce ball. I’m sure your husband knows it. The croissants are divine in both NYC and Paris. I’d give it a try. Looks like I just got a planned tour. Thanks Leah. Leah's a luxury travel and food writer who has as many stories as she does shoes. She documents her experiences whether that's in the lap of luxury or riding through a swamp in an airboat. Leah freelances and has contributor/editor roles with The Daily Meal, USA Today 10 Best, Bonjour Paris, France Today, Luxe Beat Magazine, Four Seasons Magazine, Forbes Travel Guide, and is a travel and wine ambassador for Atout France USA. Leah's lived in Paris for three years, and was recently awarded another four with a Passeport Talent visa renewal. Though, her talent for speaking French is abysmal. Copyright © 2011-2019 Leah Travels. Don't steal my words, pictures, or ideas. Well, maybe not the whole world, but some of it. Either way, subscribe to my monthly newsletter. 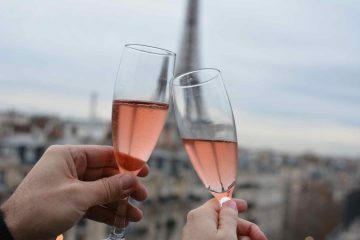 I'll include my latest articles from around the Web, travel announcements, and maybe even a few Paris insider tips.